This Pembroke wood mantel installation came through a recommendation from a previous client. This client approached The Billington Partnership at end of a long refurbishment project on their house in ‘Little India’ near Clapham. Our task was to install a new fireplace. 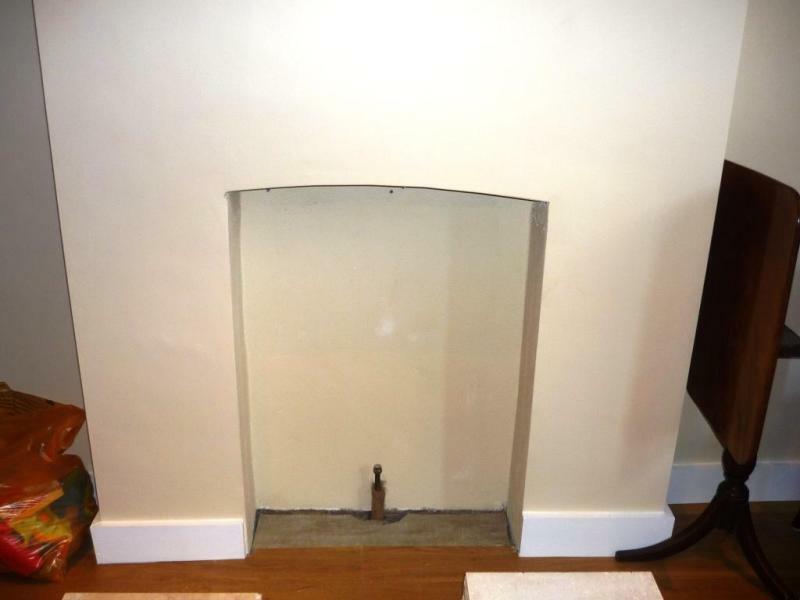 The images show that the opening and gas point had already been established. Also, the client knew what they were looking for which made the decision and sourcing process much quicker. They chose the Pembroke wood mantel in white from Gazco with a black cast iron insert. The Pembroke wood mantel is available in a choice of materials and finishes: White, Warm White, Grey, Light Oak, Rich Oak, Waxed Oak, Lacquered Antique Pine, Waxed Antique Pine. It is elegant in style and looks fantastic in any main room. 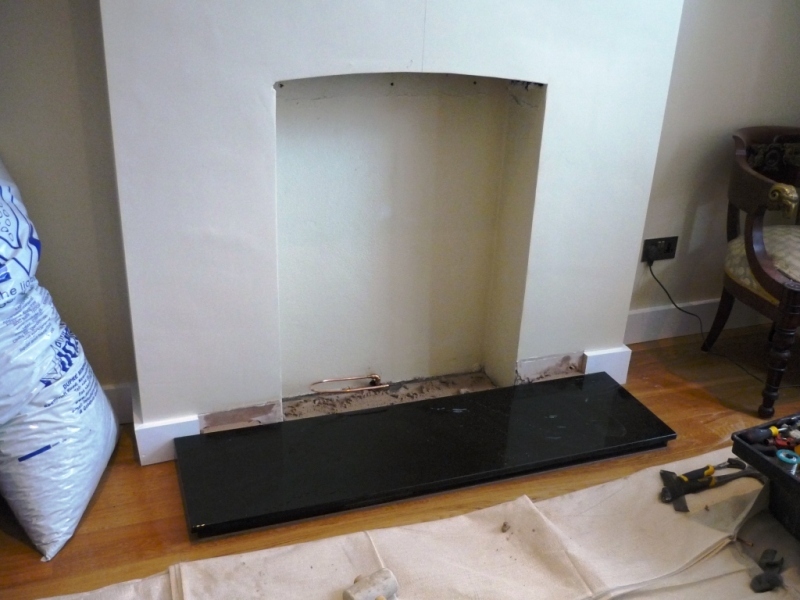 In addition to the mantel, we installed a manual coal gas fire with a black granite box and a lipped slate hearth. 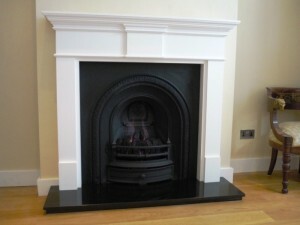 Both complimented the Pembroke white mantel tremendously well. It took just one day to complete the installation and the final result was a great success and visually striking. For more information on the Pembroke wood mantel from Gazco, contact The Billington Partnership.